Question: I went to court for a DUI, got it all taken care of then about a year later, I got another DUI. I moved away due to army relocation. Several months later, I was contacted by the courts saying that I had to appear in court because I was on unsupervised probation. I had no knowledge of this and explained that I could not make it to court in Washington state because I was currently living in Georgia and getting ready to deploy to Iraq. I was then informed that a warrant would be issued for me. I am going to be coming back from Iraq in a couple of months and want to go on a cruise to the Bahamas with my girlfriend. I would like to know if I can get a passport with an open warrant, and if I will have any issues going through customs both leaving and returning? Thank you for your time and any guidance you can give me would be greatly appreciated. From the above, passports are only denied in the case of felony offenses or court orders that were issued prohibiting the person from exiting the country. Having said that, you probably do not need a passport. Passports are not required on closed-loop cruises. A closed-loop cruise is one that begins and ends in the same U.S. location. We cannot confirm whether you will or will not have problems at customs. Comments for Can you get a passport if I have a open bench warrant? Question: I apparently have a no extradition warrant for GTA in North Carolina. The case was tried and concluded in Pennsylvania but the proper information was not transferred to NC so the warrant is, I believe, still open. It has been 16 years since it was issued. Can I get a passport if it’s still open? Answer: Please contact customer service at 1-877-487-2778 to discuss your eligibility for a passport. Question: I want to go see my foreign girlfriend but have a non extradition warrant in a different state. Will the state I'm in issue me a passport to leave the country if the original charge is a misdemeanor? I violated a misdemeanor probation and have a felony non extradition warrant. Apparently they won't come more than 3 states away to get me and it's only a 9 and a half months sentence. Is there a possibility that I can get a passport and take a ship to the country I'm trying to go too? Answer: Please consult a lawyer regarding your issue. You may also call passport services at 1-877-487-2778 to discuss your eligibility with a customer service representative. Question: I live in Mexico with my 3-year-old child and I want to return to the States with him. I want to go back and get my baby to my family before I turn myself in. I don't want my son in the CPS system that's why I left and returned to Mexico with my ex. I do not have a passport and i have a 6-year-old felony warrant from the state. Will the embassy give me a passport to return to the USA? Answer: You may contact the embassy about securing passports or at least a travel document for you and your child. As for getting your child to your family, you need to consult a lawyer. Question: My ex lives/works overseas and owes thousands in back spousal support. He refused to attend Court date or phone in and the Judge ordered a bench warrant for his arrest for not appearing. His passport is good for several years. Is there a way to revoke his passport until his debt is paid? Answer: You need to speak to the courts regarding your concern. Question: I am wondering if my sister would be able to obtain a passport. She was accused of hit and run with no proof and believes that there might have been a warrant issued for her arrest. She is looking to travel to the Netherlands for a conference for her special needs son. Would she be able to apply for passport? Answer: Please have your sister call customer service at 1-877-487-2778 to discuss her eligibility to apply for a passport. Question: Hi. I currently have a 12-month deferred sentence for domestic assault, so after a year it will be dismissed. There are travel restrictions or conditions aside from payment. Would I qualify for a passport? Answer: Please call customer service at 1-877-487-2778 to discuss your eligibility to apply for a passport. Question: I am a naturalized citizen. I have moved many times and lost my Certificate which is like my Birth Certificate. In addition, I had a felony 15 yrs ago. When I was charged, they took my passport and I never got it back. I only have a valid State ID. My felony charge was not drug-related or anything violent. It was mail fraud...still not sure what that's all about but anyway. Are records kept of me having had a passport before and will that help in me getting a new one now with the limited info I have? Answer: You may request for a file search, the results of which may be used as your evidence of U.S. citizenship for a new passport application. Question: I got arrested 17 years ago for possession of cocaine in Miami, an empty bag with residue in it. Missed my last court date there’s a warrant for my arrest. Can I still get a passport or have to clear that up 1st? Answer: Please call customer service at 1-877-487-2778. Question: I have a bench warrant for not appearing in court with a debt collector from credit card debt. Can I get a passport? Answer: You should be able to apply for a passport. You may call 1-877-487-2778 if you would like to discuss your situation with a customer service representative. Question: I just found out that I had a warrant from two years ago for a credit card fraud. I have no idea I had this. Would I still be able to get my passport? 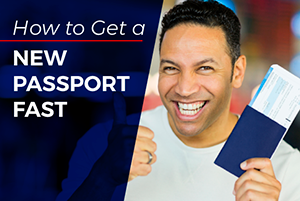 Answer: The eligibility to apply for your passport depends on the gravity of the offense. Please contact customer service at 1-877-487-2778 for further assistance. Question: I have a probation violation warrant and felony arrest warrant from about 15 yrs ago out of California for theft and possession of controlled substance. I now live cross country. I've been pulled over now and then for a brake light or something. Warrant always comes up, but officers say California won't extradite and always let me go. I always pass employment background checks . Hit or miss if my warrants show up . But never has stopped me from employment. Will I be able to get a passport? Thank you in advance. 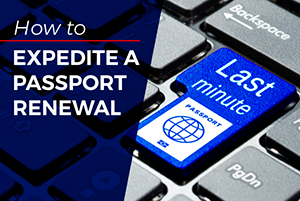 Answer: Your eligibility for a passport will be decided on by the agent who receives your application. Please call 1-877-487-2778 to discuss your case. Question: I have a bench warrant for arrears in family court. Would it hinder me from getting a passport? Answer: If you owe over $2500 in child support, you will be denied a passport. Question: I'm trying to get a passport. Will a warrant for my probation violation stop me from getting it? Question: I have warrants in TN for failure to appear and petition to revoke a suspended sentence in a felony case of identity theft $1000-$3000. Can I still get a passport? Answer: Please contact passport services at 1-877-487-2778 regarding your concern. Question: I have an open bench warrant out of FL for a misdemeanor theft. I am trying to apply for a passport, will this prevent me? Answer: It should not. 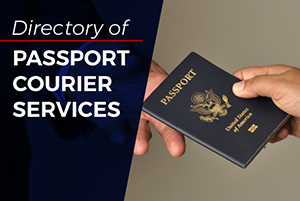 Please call passport services at 1-877-487-2778 for more information. Question: Twenty-five years ago I was arrested for misdemeanor charge and placed on probation. My lawyer told me my probation was complete but found out probation was never closed properly and now there is non-extraditable warrant for me out of Florida. Will this prevent me from getting the passport I already applied for? Thank you for any help. Answer: The answer depends on the manner of misdemeanor. Please call customer service at 1-877-487-2778 for advice in the matter. Question: I have a speeding ticket that turned into a warrant. Can iI still apply for a passport of should i pay for ticket first? Answer: The speeding ticket/warrant should not prevent you from applying for a new passport. Question: I have a speeding ticket from a year ago. Failed to appear. Now a recent speeding ticket. They ended up suspending my drivers license. Will this cause me issues to Apply for passport for the first time? Answer: The speeding tickets will not hinder you from applying for a passport. However, since your driver's license is suspended, you cannot use it as proof of identity. You will then need to submit a combination of secondary IDs/a> with the rest of the application requirements. Question: I found out recently that I had a felony warrant in the state of California for aggravated assault. I no longer live there and California refuses to extradite or drop the warrant can I still get a passport? Answer: You might still be able to get a passport. Please contact the National Passport Information Center at 1-877-487-2778 for more information. Question: I have a warrant from 4 years ago in Virginia which isn’t extraditable. Am I able to obtain a passport? Answer: Some offenses do not prevent one from applying for a U.S. passport. Please contact the National Passport Information Center at 1-877-487-2778 to find out if you qualify for a passport. Can I get a passport if I have a warrant? Question: I have a warrant for my arrest for a fight I got into about 3 years ago and I was charged with assault, with a $300 bond. I was planning on taking a trip to the Dominican Republic but I was wondering if they will give me a passport if I have a warrant? Answer: You should be able to apply for a passport. Question: I have a felony warrant from 10 years ago for a DUI. I have been sober for many years now, and am Trying to get a Passport to go to Costa Rica on my honeymoon, but cannot go to Michigan from South Carolina to resolve the issue quickly enough. Will this keep me from getting a passport? Answer: It should not. Please contact customer service at 1-877-487-2778 for more information. Question: My fiance has an outstanding warrant from 3 years ago. According to the state of IA, for a burglary a warrant is only valid for 3 years. If it still states that he has a warrant, will that prevent him from getting a passport? Answer: No, it will not. Question: I have a bench warrant that’s a couple of years old for not paying a ticket. Will I still be able to get a passport? Answer: Yes, you will be able to apply for a passport. Question: I have a felony warrant for shoplifting in Ohio. I live in Vegas. It is non- extraditable and almost 10 years old. Am I able to get a passport? Answer: Please contact the National Passport Information Center at 1-877-487-2778 for advice. Question: I have a general question in regards to passports. I had "Capias" issued for not appearing / paying for small claims for capital one back in 2008. I moved out of state and never received mailings for the hearing so therefore didn't know about it, so it was issued against me . Will this prevent me from getting a passport? Also 13 years ago, I worked for a school for sexual abusers in MA. The policy was for 3 students to 1 staff ratio no matter what. I moved into a driver position for medical appointments dentist etc, I was put into a position of being 1:1 ratio with a student. That student made an accusation against me (which obviously is not true ) but 51a was filed with DSS, and 51b investigation was held, the 51a was "supported". I was then let go of my position. About 9 months later Police came to my door (I was not home) and then I called the police to see what was going on the next day, they wanted to question me for what I was assuming was the same incident from spring (9 months earlier). I contacted my lawyer and he said that he would take care of it and not to talk with the police. I received a letter approximately 2 months after being contacted by police stating that the 51a was supported and then the perp (me) was not co-operative with police and the information the student was saying, but there was no charges being filed etc.... Ever since then I've been wondering whatever really happened with that situation with the questioning etc. and was wondering if that would be a problem with passport even though there were no charges, etc? Answer: There are certain offenses that prevent a person from obtaining a U.S. passport. Please contact the National Passport Information Center at 1-877-487-2778 for more information. Question: I have a 4-year-old bench warrant in Washington State for a felony of intent to sell and possession. I no longer live that lifestyle. However I cannot go back to Washington State at the moment to rectify the situation. I would like to obtain a passport for a cruise and perhaps visit another country. Answer: While it can be a challenge to obtain a passport with a drug-related offense on record, it is not impossible. We recommend that you contact the National Passport Information Center at 1-877-487-2778 for more information. On another note, you can actually go on a cruise without a passport. U.S. citizens may travel with their birth certificates and IDs on a closed-loop cruise. A closed-loop cruise is one that begins and ends in the same U.S. city. Still, you will have to contact the cruise line to confirm travel document requirements. Question: I have a traffic warrant for the state of NJ, but my driver's license is PA and my driving status is valid. Will I still be able to get a passport and will I have issues getting back into the country? Answer: Your warrant should not prevent you from obtaining a passport and leaving/re-entering the United States. Please call customer service at 1-877-487-2778 for more information. Question: If I have an outstanding warrant for failure to appear for traffic violations, will this affect me applying for a passport? Answer: No, it should not. Please contact customer service at 1-877-487-2778 for more information. Question: I have a 4 year old warrant terminating diversion on an aggravated assault from 2009. I live in Florida for 6 years and was unaware until now. I have a trip in August and need a passport. Will I have a problem? Answer: Please call the National Passport Information Center at 1-877-487-2778 regarding your concern. Question: I have a warrant for an assault misdemeanor I just found out about in CA. Will this prevent me from getting a passport? Answer: It should not. Please contact the National Passport Information Center at 1-877-487-2778. Question: I have a warrant for failure to appear for a DUI. Will I be denied a passport? Answer: No, you will not. Please call customer service at 1-877-487-2778 for more information. Question: I recently received a letter from the Superior court of Los Angeles saying I failed to pay 20 court fees for a ticket and I owe $800. It has been sent to collections. Will this matter hold up or affect my getting a passport for the first time? Thank you. Answer: Please call the National Passport Information Center at 1-877-487-2778. Question: I have a non-extraditable warrant in North Carolina for an assault and for breaking a restraining order. Will I be able to obtain a passport? Question: I have an old bench warrant that's still outstanding for an misdemeanor. Can I obtain a passport to go out of country and if so, will it prohibit me from re-entering the United States upon return? Answer: It should not prevent you from obtaining a U.S. passport and returning to the United States. Please contact the NPIC at 1-877-487-2778 to confirm. Question: I might have had a failure to appear/ pay fine from 2007 for a traffic violation. Will this prevent me from gettinf a passport? Answer: It should not. Please call the NPIC at 1-877-487-2778 to confirm. Question: I was involved in a hit and run in NYC. Someone hit me and took off, and i hurt my neck. When they checked my license it was suspended due to insurance lapse that i didn't know about. They gave me an appearance ticket and i never went back, its been 5 years. There is a warrant. Will I be able to get a passport? Answer: Yes, you will be able to get a new passport. Question: I have a warrants from 2 tickets that I received in 2012. My boyfriend is a Jamaican and wants me to come back with him to Jamaica for spring break.Can I still get a passport even though I have the warrants. The tickets are for obstruction of a peace officer and resisting arrest. Answer: Obtaining a passport when you have a record may be a challenge but it is not impossible. There are offenses that prevent one from obtaining a passport like international drug trafficking and owing more than $2500 in child support. Please call customer service at 1-877-487-2778 for more information. Question: I currently have a passport and am planning on going to Cabo San Lucas. I have a bench warrant for a probation violation that’s two years old. Will I have any problems coming and going? Answer: As long as there is no standing order preventing you from leaving the country, you should be able to travel. However, we recommend that you contact the Mexican Embassy to verify if your standing warrant will not prevent you from entering their country. Question: I have a bench warrant for shoplifting 7 years ago in Maryland. I live in Florida. Will I be arrested trying to come back to the US? Answer: Please contact the court who issued the bench warrant to see if it is still active. There is usually a statute of limitations for cases like this. Question: I was stopped by the police and put in jail for one day for public intoxication. My flight out of the country, on a US passport, is before the trial. I understand I will have a warrant for my arrest if I do not appear. Is there a way to clear this up before I go? Will I already be stopped from leaving the country if I try to get back to my country of residence? Answer: Please speak to a lawyer regarding the issue. Question: I have discovered that I have a warrant for bogus checks from 1985. This forum told me that I can get a passport. next question is will I have have trouble clearing customs? Answer: Unless there is a standing order preventing you from leaving the country, you should be able to 'clear customs' without a problem. Question: I just found out that I have a warrant for bogus check from back in 1985. Can I get a passport? Question: Hello I was arrested a year ago for false imprisonment and other charges. They released me after a month and then I found out the charges are still pending and there is a warrant. Will pending felony charges or this warrant prevent me from getting a passport? The charges are state not federal. Answer: There are offenses that prevent a U.S. citizen from obtaining a U.S. passport. These include international drug trafficking and owing more than $2500 in child support. You should be able to apply for a passport. Please call 1-877-487-2778 to speak to a customer service representative. Question: I have warrants for traffic tickets. Will that stop me from getting my passport? Question: I have a bench warrant for a felony in another state. I was never arrested on the charge and was given a ticket. But will that stop me from getting a passport. The warrant is not valid in my state. Question: I just found out I have a bench warrant from 2012 for failure to appear and a misdemeanor for child support. I paid off the support off years ago but never knew about the warrant. Will I be denied my passport? Answer: A bench warrant or a misdemeanor is not cause for passport denial. Please call customer service at 1-877-487-2778 for more information. Question: If I have a bench warrant and don't have no license is it possible for me to get one in the state I stay at? The warrant is not in the state I stay in? Answer: Please contact the local DMV office for questions about driver's licenses. Question: I am trying to obtain my passport but recently found out I have an arrest warrant for a felony I knew nothing about in California. I have been trying to rectify the situation for over a year now but I'm getting the run around. I do not reside in California and I'm not running from the situation. I'm planning to be married out the country but need to know will this warrant stop me from obtaining my passport? Answer: It depends on what offense the warrant is issued for. Please call 1-877-487-2778 to speak to a customer service representative. Question: I was arrested in Bakersfield California for having two ounces of marijuana and I bonded out of jail on the charge of possession with the intent to distribute marijuana. I then ended up moving back to Texas where I'm on probation until October 29 for burglary. My P.O. ended up telling me that I have a warrant in California for possession of a dangerous drug! I only had weed. But my question is, if my P.O. approves of me receiving a passport, can I get denied because of the warrant in California? And there will be no expedition, California isn't coming to get me from Texas. Any advice? Thanks. Answer: You may find it difficult to obtain a passport because of the charges and the open warrant for your arrest. We recommend consulting a lawyer regarding your legal issues before attempting to obtain a passport. Question: I didn't go to my last court date due to the last time I went, the judge told me that I had to have my license. But in order to get my license, I had to pay off tickets. So now I have a warrant but I'm paying the tickets off. Will I be denied a passport for this? Answer: An open bench warrant is often not a reason to deny a citizen a passport. However, there are certain offenses that automatically disqualify one from applying for a passport. We recommend that you contact customer service at 1-877-487-2778 for more information. Question: I am currently waiting on a court date for a battery charge in another state that i do not reside in. In the state where it was issued, it is considered a class C misdemeanor and currently in warrant status due to non-completion of probation in a timely manner. Is that subject to being denied a passport application? Answer: Please call 1-877-487-2778 to speak to customer service regarding the matter. Question: I just found out that I have a warrant for my arrest for a speeding ticket. Would I still be able to get a passport to go to Mexico in august. Answer: An open bench warrant for a speeding ticket is not ground for passport denial. You should be able to apply for a passport for your trip to Mexico without issues. I was in the same situation having a warrant issued prior to a deployment. I did get a passport with the warrant but months later when I returned to the States for R&R via commercial aircraft, I was arrested by customs and spent Christmas & New Year's in the county jail. Question: I got a notice that my passport was denied because of a non-felony nor child support debt. Its a medical bill of 3000.00 That I've been trying to pay and am paying under a private contract. Under the code for denying a passport...doesn't the issue have to be part of a felony charge and not a private debt owed? Answer: Please call 1-877-487-2778 to speak with a customer service representative about this issue.